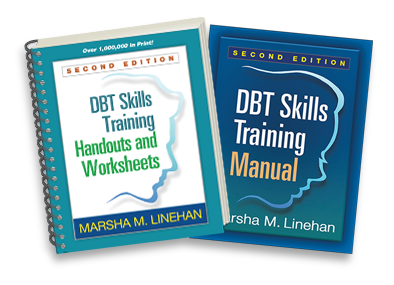 Marsha M. Linehan, PhD, ABPP, the developer of dialectical behavior therapy (DBT), is Professor of Psychology and of Psychiatry and Behavioral Sciences and Director of the Behavioral Research and Therapy Clinics at the University of Washington. Her primary research interest is in the development and evaluation of evidence-based treatments for populations with high suicide risk and multiple, severe mental disorders. 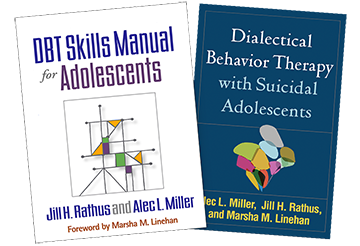 Dr. Linehan's contributions to suicide research and clinical psychology research have been recognized with numerous awards, including the 2017 University of Louisville Grawemeyer Award for Psychology and the 2016 Career/Lifetime Achievement Award from the Association for Behavioral and Cognitive Therapies. She is also a recipient of the Gold Medal Award for Life Achievement in the Application of Psychology from the American Psychological Foundation and the James McKeen Cattell Award from the Association for Psychological Science. In her honor, the American Association of Suicidology created the Marsha Linehan Award for Outstanding Research in the Treatment of Suicidal Behavior. She is a Zen master and teaches mindfulness and contemplative practices via workshops and retreats for health care providers. 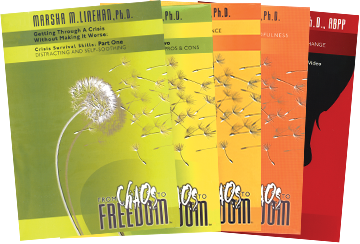 Check out sample clips from Marsha Linehan's videos: Crisis Survival Skills: Part One, Crisis Survival Skills: Part Two, From Suffering to Freedom, Opposite Action, This One Moment, Treating Borderline Personality Disorder, and Understanding Borderline Personality Disorder.